Anthony Pettis (pictured) finally snapped his three-fight winning streak in his last outing, but the UFC didn’t do Pettis any favors for his next assignment. On Wednesday, it was announced the former UFC lightweight champion will face white hot Max Holloway at UFC 206. Pettis collected the much needed win by submitting Charles Oliveira in his featherweight debut in August. “Showtime” had been more like no time prior to tapping the Brazilian. After getting dominated by Rafael Dos Anjos to lose his belt, Eddie Alvarez pulled out a split decision victory that motivated Pettis to drop 10 pounds. He looked awful in his last lightweight fight in a lopsided loss to Edson Barboza before finally righting the ship against Oliveira. Holloway, meanwhile, has been campaigning for a title tilt against champion Conor McGregor. However, McGregor was granted a scrap with lightweight champ Alvarez at UFC 206, so he then set his sights on interim champ Jose Aldo. Aldo, though, is in the middle of a career crossroads and is contemplating retirement. 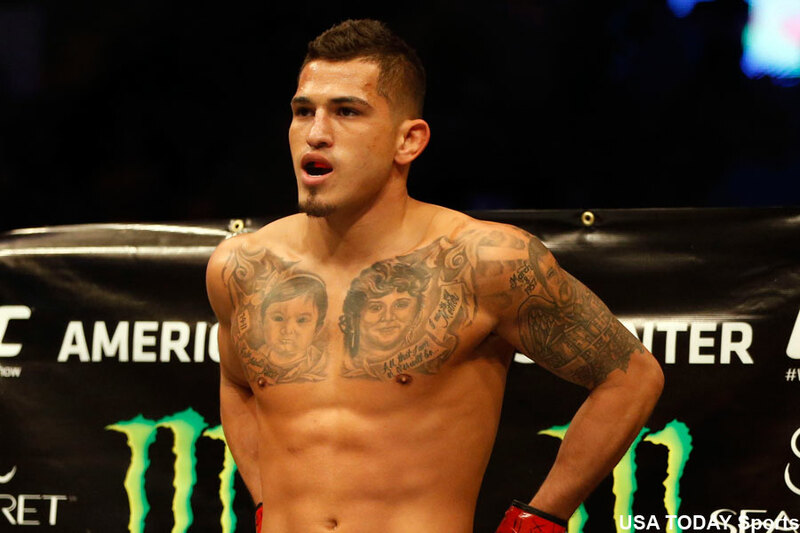 With nowhere left to turn, Holloway will have to settle for a big name in Pettis. The matchup doesn’t really do much for Holloway in terms of solidifying his status in the division, but it should be fun. “Blessed” has rattled off nine consecutive wins since losing to McGregor in 2013. The December 10 event takes place inside Air Canada Centre in Toronto, Ontario, Canada.